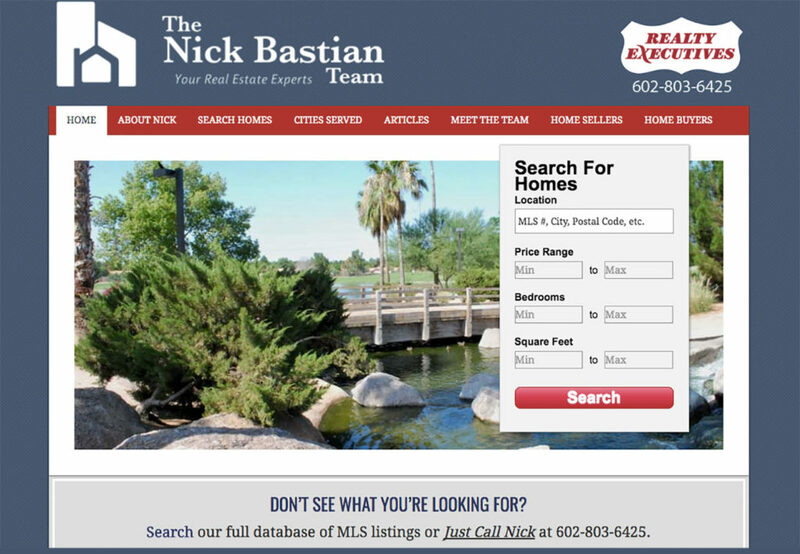 Veteran Arizona Real Estate Agent Nick Bastian contacted Greg Taylor to redevelop his personal website to help stimulate revenue. The new WordPress site caters to individuals looking for homes in The East Valley of Phoenix, AZ – more specifically Tempe and the surrounding area. To keep the project within budget we used a pre-designed Genesis WordPress template which was customized for the brand.